As an artistic medium, photography is uniquely subject to accidents, or disruptions, that can occur in the making of an artwork. Though rarely considered seriously, those accidents can offer fascinating insights about the nature of the medium and how it works. With Inadvertent Images, Peter Geimer explores all kinds of photographic irritation from throughout the history of the medium, as well as accidental images that occur through photo-like means, such as the image of Christ on the Shroud of Turin, brought into high resolution through photography. Geimer’s investigations complement the history of photographic images by cataloging a corresponding history of their symptoms, their precarious visibility, and the disruptions threatened by image noise. Interwoven with the familiar history of photography is a secret history of photographic artifacts, spots, and hazes that historians have typically dismissed as “spurious phenomena,” “parasites,” or “enemies of the photographer.” With such photographs, it is virtually impossible to tell where a “picture” has been disrupted—where the representation ends and the image noise begins. We must, Geimer argues, seek to keep both in sight: the technical making and the necessary unpredictability of what is made, the intentional and the accidental aspects, representation and its potential disruption. 3 Case Study I: Signs of Life or “False Flames”? 4 Case Study II: A Self-Portrait of Christ or the White Noise of Photography? 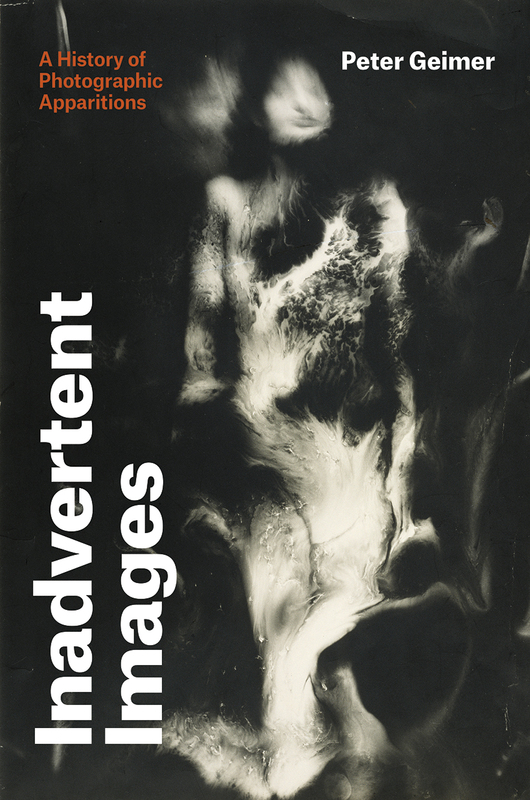 "Inadvertent Images offers crucial insight about the central epistemological problems of such a paradoxical visual medium. It provides an account of how photography was, and is, a contested terrain for the high-stakes questions of scientific realism. It responds with special nuance to fundamental, if familiar, queries: Can our theories, models, and representations tell us something—anything—about natural phenomena? Are photographs ever more than artifacts of their own contrived interventions into the natural world? With both historical specificity and a broad conceptual scope, Geimer poses these longstanding questions afresh, demanding that we reexamine some of our most fundamental premises." "Fascinating. . . . Geimer's remarks on how the limitations of the human eye has led to the creation of perceptual prosthetics that allow us a foray into invisible worlds are truly exciting stuff! With comprehensive notes and index, along with many illustrations, this is a must for the student of philosophy, history of science, art or cultural history, or those with a technical interest in forensic photography." "The undeniable strength of Inadvertent Images lies in its theoretical lucidity and careful readings of specific, exemplary photographs. Peter Geimer compellingly analyzes the contingent histories of these images with an eye for wider theoretical implications that unsettle what we originally considered as the nature of photography. Geimer thus makes us look at technical, optical, and chemical materialities that constitute the noise and the verisimilitude of photographic images."